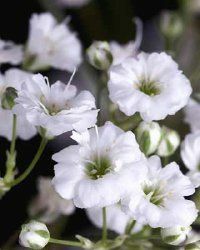 Adorable petite white flowers bloom in profusion covering the grey-green foliage from early to mid-summer. Trimming back immediately after the first flowering will encourage re-bloom. 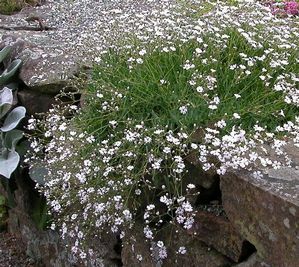 At 4-6” height, the creeping foliage will drape over rock walls or spill out of containers, and fill in as an edging along pathways. Well-drained light soil is essential for winter survival and plant is drought tolerant once established.